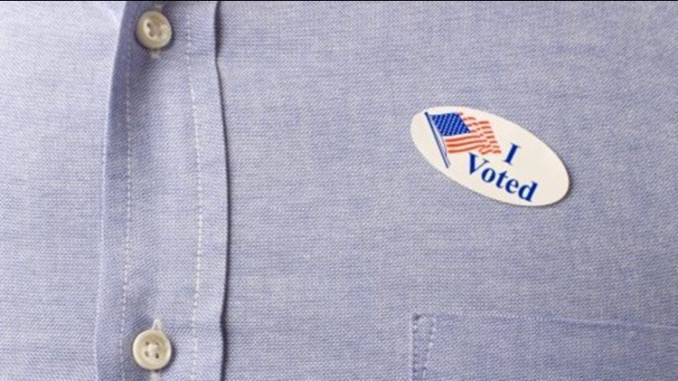 In a shameless attempt to deceive friends and family today, local man Greg Tucker posted a photo of his “I Voted” sticker from the 2016 election. Linda Dean, a friend of Greg’s, reported the incident, asserting that Greg had been texting her throughout the morning and definitely hadn’t gone to vote yet. “Greg and I exchanged several texts over the course of the morning, and the timeline just didn’t match up.” Linda said. After noticing that he’d received 3 likes on his fraudulent photo, Linda felt she had to speak up. However, after receiving numerous angry comments, Greg deleted the post and promised not to do it again. He did the right thing. I was bout to say.